Occasionally Disney offers special deals on it tickets as part of a Disney vacation package. When available, you can find them listed on our Walt Disney World Discount page. Check with your Magic for Less agent or request a free, no obligation quote here to see if you qualify for a booking bonus on your ticket only offer such as a Starbucks or Disney gift card! One and two day tickets, annual passes, event tickets, tickets with a military, FL resident and other discounted tickets are not eligible for this promotion. All tickets and options are nontransferable and nonrefundable and exclude activities/events separately priced. Due to custom regulations, guests located outside the US are only eligible for the Disney eGift card promotion levels and options. Gift card delivered approximately two to three weeks after tickets are purchased and paid in full. 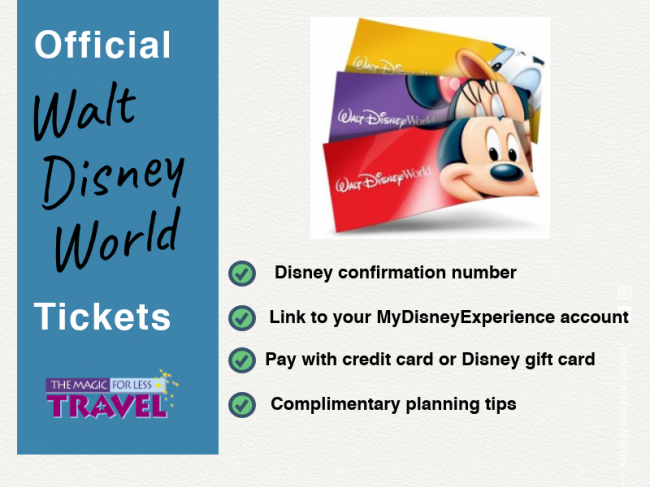 Official Disney Tickets – Tickets are always official Disney tickets ordered directly from Disney and not a ticket reseller. Electronic Delivery – No need to worry about shipping costs, your ticket confirmation will be electronically delivered to you. Link to Your My Disney Experience Account – Once you receive your ticket confirmation, you can link it to your MyDisneyExperience account and start planning on your vacation. Disney Terms and Conditions – These are Disney tickets and are sold with the Disney Terms and Conditions. Pay With a Credit Card or Disney Gift Cards – Pay for your tickets with most major credit cards OR Disney gift cards. Authorized Disney Vacation Planner – The Magic for Less Travel is an Authorized Disney Vacation Planner and specializes in Disney destinations. Complimentary Planning Tips – Receive The Magic for Less Travel tips and assistance and make the most of your vacation. Complimentary Concierge Service – When you book your tickets with The Magic For Less Travel, you will work with an agent who provides complimentary concierge planning services. As stated these tickets can be a very good value but pay attention to the rules and dates. With a carefully planned trip, you could save some money. You are allowed to visit a different theme park each day, but it’s one park per day, and each park only once! These tickets are valid for one admission to each of our 4 theme parks—Magic Kingdom park, Epcot, Disney’s Hollywood Studios and Disney’s Animal Kingdom park. One park per day. Tickets may not be used to enter the same park more than once. All tickets and options are nontransferable and nonrefundable and exclude activities/events separately priced. Tickets are valid from January 18, 2019 through March 1, 2019 and must be used within 7 days of first use or by March 1, 2019, whichever occurs first. Enjoy one admission to each of our 4 theme parks—Magic Kingdom park, Epcot, Disney’s Hollywood Studios and Disney’s Animal Kingdom park. One park per day. These tickets are valid for one admission to each of our 4 theme parks—Magic Kingdom park, Epcot, Disney’s Hollywood Studios and Disney’s Animal Kingdom park. One park per day. Tickets may not be used to enter the same park more than once. All tickets and options are nontransferable and nonrefundable and exclude activities/events separately priced. Tickets are valid from January 18, 2019 – March 14, 2019, March 27, 2019 – April 9, 2019, April 27, 2019 – May 27, 2019 and August 19, 2019 – September 30, 2019. and must be used within 7 days of first use or by March 1, 2019, whichever occurs first. Enjoy one admission to each of our 4 theme parks—Magic Kingdom park, Epcot, Disney’s Hollywood Studios and Disney’s Animal Kingdom park. One park per day. These tickets are valid for one admission to each of our 4 theme parks—Magic Kingdom park, Epcot, Disney’s Hollywood Studios and Disney’s Animal Kingdom park. One park per day. Tickets may not be used to enter the same park more than once. Tickets are valid from January 18, 2019 – March 14, 2019, March 27, 2019 – April 9, 2019 and April 27, 2019 – September 30, 2019. Tickets and any options must be used within 7 days of first use or by September 30, 2019, whichever occurs first. All tickets and options are nontransferable and nonrefundable and exclude activities/events separately priced. Never buy partially used tickets! All Walt Disney World Tickets are nontransferable. Tickets must be used by the same person on any and all days. Disney uses biometric measurements to identify the owner of the ticket. It is illegal to sell partly-used multi-day attraction tickets. There are no large ticket discounts available on Walt Disney World tickets. While you may find a small discount available, it likely will not amount to a huge savings. If the discount seems too good to be true, it is. Tickets sold outside of a vacation package are non-refundable. Tickets also have an expiration date. If you must delay or cancel your vacation, your tickets may expire prior to your new travel dates. As an alternative, if you book a package that includes tickets and you cancel more than 30 days prior to your travel dates, your package price is fully refundable. Tickets that are not part of a package require payment in full at the time of purchase. Packages that include tickets only require a $200 deposit and that deposit is fully refundable as long as you cancel prior to the cancellation date. Many of the discounted Walt Disney World packages include tickets. One of the ways to get the best discount on your Walt Disney World vacation is by taking advantage of a discount package. These packages include tickets for each person on the reservation. Instead of purchasing your stand-alone ticket in advance, you may want to wait and see if a discounted package is available for your travel dates. Visit our Walt Disney World discount page to see all the current Walt Disney World discounts. Beyond buying only the ticket options needed, Walt Disney World admission tickets are available through a number of ticket brokers and vendors online. Ticket brokers buy their passes in bulk from Disney and then pass the savings on. In some cases ticket broker prices are slightly better than tickets bought directly through Disney or through an Authorized Disney Vacation Planner like The Magic for Less Travel. Please note that you cannot pay for for tickets through a ticket broker with Disney gift cards. You can pay with Disney gift cards when booking through Disney or with The Magic for Less Travel. Be careful and only use online ticket vendors with stellar reputations when purchasing any attraction tickets. When shopping for prices, just be sure to compare prices equivocally across the board. Check whether tax and/or shipping are included in the price before assuming one price is better than another. Disney and many other vendors don’t include them in the prices shown online. 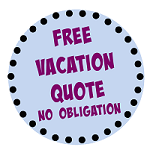 Check the web sites of any Travel or Discount Clubs to which you belong for attraction discounts and offers. Some hotel and airline rewards programs occasionally offer Disney tickets. Check with your rewards program if you have a lot of points to burn. Periodically, specific retail stores offer deals on Disney gift cards. In addition, some supermarkets also offer rewards for purchasing Disney gift cards. Disney gift cards can be used in at the parks to purchase or pay for tours, meals, recreational activities, park souvenirs, admission tickets for theme parks, hotel stays, and more (some restrictions may apply). For park locations that do not accept the Disney gift card (some non-Disney owned merchant shops and restaurants), you can simply make the charge to your room key and pay the entire or a portion of the total with your Disney gift card! In addition, you can pay for your Disney Destination packages, tickets, and room only reservations when they are booked with Disney or with a Disney Travel Planner like The Magic for Less Travel. Target frequently offers Disney gift cards at 5% off when you use the Target Red Card to make your purchase, which is better than the 1% or 2% back that Disney Visa Cardholders get. Active and retired military as well DOD employees can obtain discounted Walt Disney World tickets through their military base MWR offices and Shades of Green, located on Walt Disney World property. Also, Shades of Green offers discounted Disney tickets, as well as other discounted area attraction tickets. A military identification card or Department of Defense identification card is required at the time of Purchase. The Shades of Green Attraction Ticket Sales Office is located on the lobby level of the resort and is open daily. Disney does not typically offer discounted tickets for any particular occupations. Some companies occasionally offer discounts. So, check with your employee benefit office to see if you are eligible for any Corporate offers or discounts. Organized youth groups of ten or more qualify for discounted Walt Disney World tickets through Disney’s Youth Program. To participate, you must live in the United States, Puerto Rico or Canada. Contact Disney for additional information. 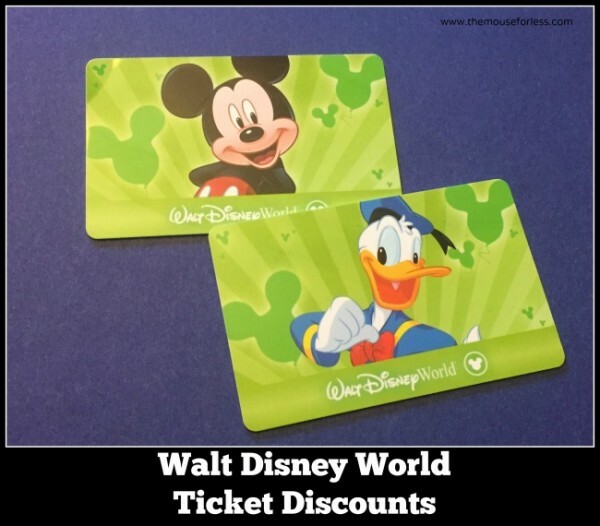 DVC members qualify for discounts on select Walt Disney World Annual Passes. A new Annual Pass may be purchased for each member of the owner’s immediate household, up to a total of eight (8) per year, at a discount. WDW Passes are purchased by calling Member Services or by going to Guest Relations at the theme parks or Downtown Disney area. Special Florida Resident tickets may be available with a discount. Block-out dates may apply. Valid proof of Florida residency per adult required for purchase and use. See our Walt Disney World Ticket page for prices and details. Our Orlando Attraction Discounts Page for Ticket Savings on Universal Orlando, Seaworld Orlando, Busch Gardens Tampa, Kennedy Space Center, Orlando Dinner Shows and More. Disneyland Discounts Page for Savings on Tickets and Area Attractions. 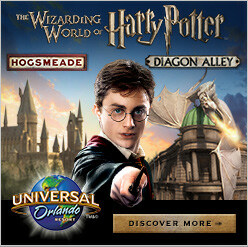 Universal Studios Discounts Page for Savings on Packages with Tickets. Current Code Page for Savings on Walt Disney World and Disneyland Packages with Tickets and Specials for Disney Cruise Line.